Mexico is probably the only place on the face of the earth where the art is extended to decorating toilets. 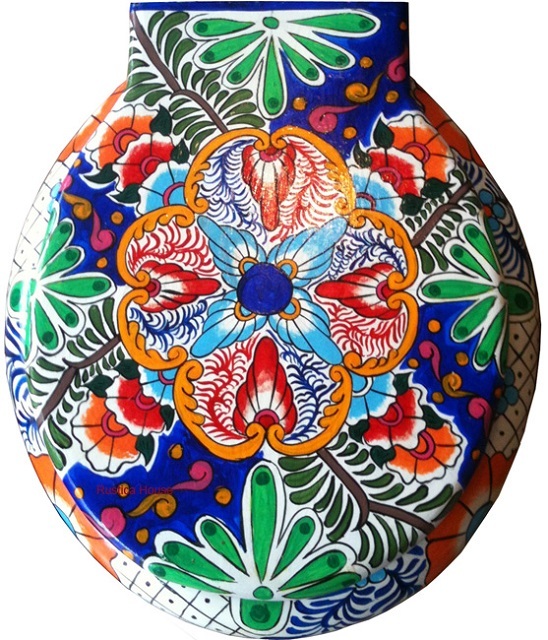 They are handcrafted by the talavera artists from Dolores Hidalgo. 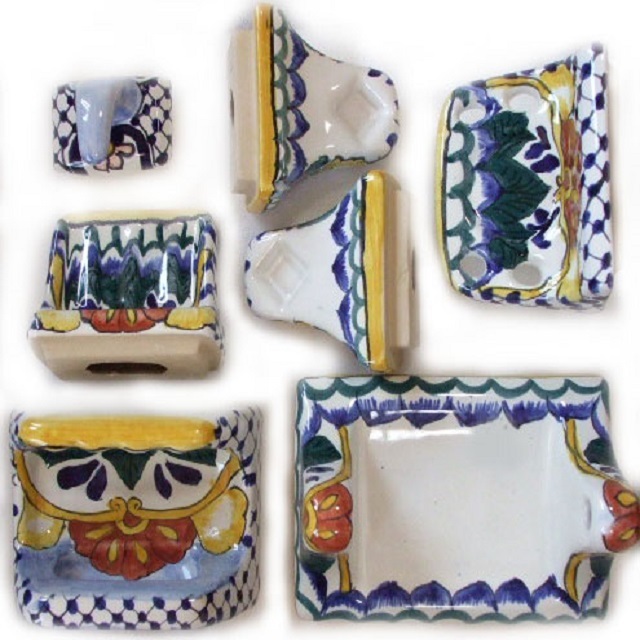 Ceramic part itself is a standard WC produced in vast numbers for the Mexican, US and Canadian markets. Most mexican toilets in North America drain to the floor and in Europe back to the wall. It is important for the EU buyers to have the bowl and toilet water tank with cover dimensions in mind as well as a correct connection so it can be used with the drain below instead of side. Buy Mexican toilet alone or with additional custom accessories with the WC bowl and water tank pattern. 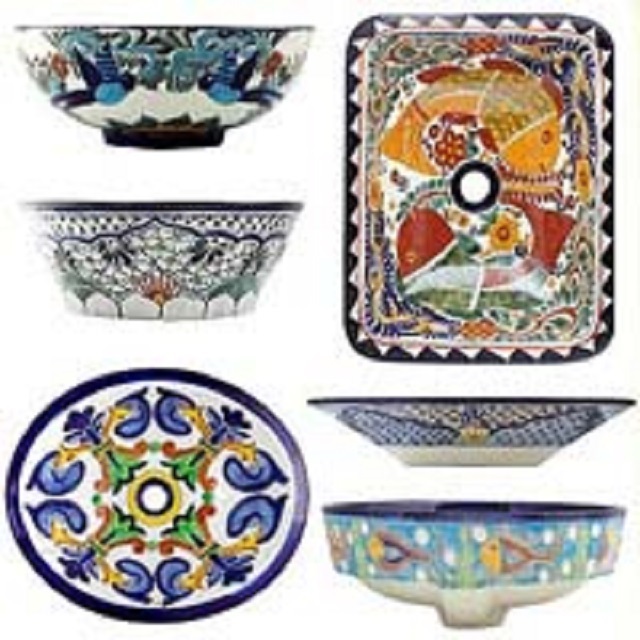 Those include hand painted toilet seats, talavera bath sets and ceramic sinks. 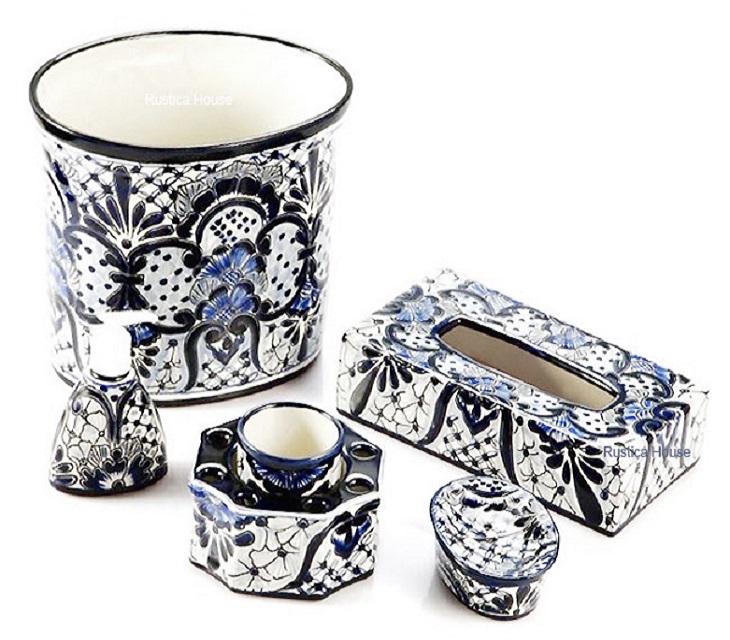 Also, the bathroom can be decorated with the set of handy items such as talavera garbage can, tissue, tooth brush holder and soap dish dispensers. 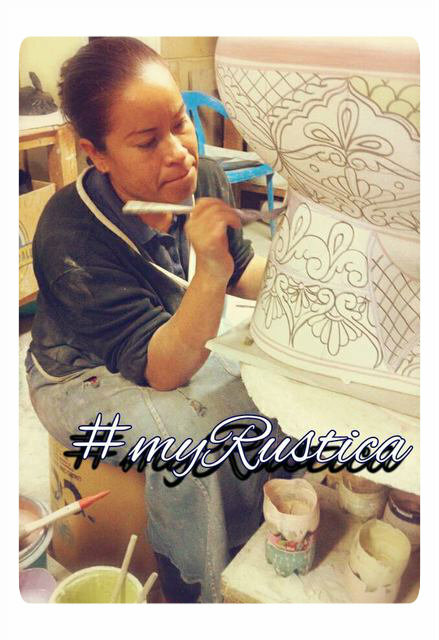 Rustica House bath ceramic products are hand painted by the artists therefore they are effectively rustic bathroom furnishings and fixtures. Because of handmade production process, some imperfections in the style and painted design are expected. Mexican Toilet "Cobalt Calla Lilly"